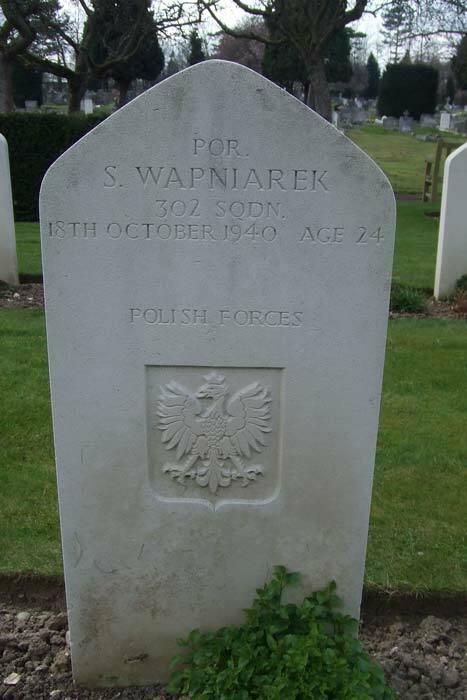 Stefan Wapniarek was born on 23rd February 1916. 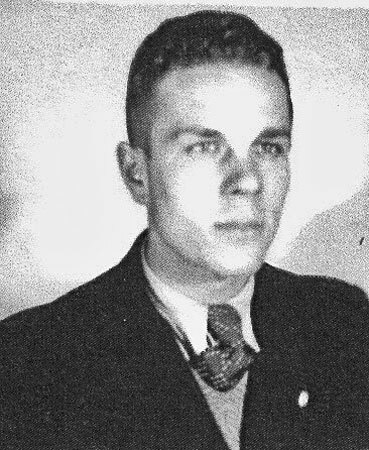 As a Polish Air Force cadet officer, flying with 132 Eskadra in September 1939, he destroyed a Me109 on the 10th, a Do17 on the 15th and a Hs126 on the 16th. 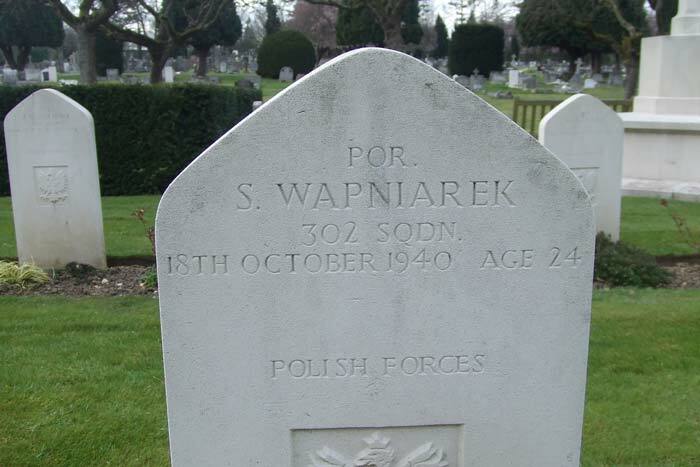 After the fall of Poland he made his way to France, via Romania, and after France fell Wapniarek went to England. In July 1940 he was based at the Polish Wing at 3 School of Technical Training, Blackpool, awaiting a posting. On the 30th he joined 302 Squadron at Leconfield. On 13th September Wapniarek went to Duxford with a 302 detachment, to operate with the Bader Big Wing. He destroyed a Ju88 on 18th September. The detachment returned to Leconfield on the 25th. After a patrol in bad weather conditions on 18th October 1940, he was killed attempting a forced-landing at Nutwood Farm, Thames Ditton in Hurricane P3872. 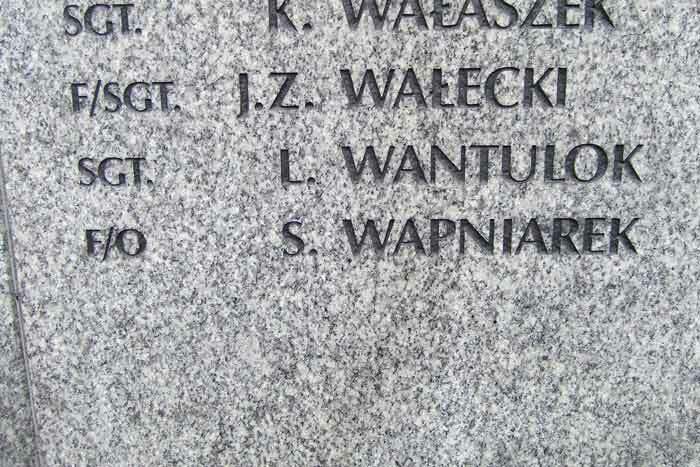 He is buried in Northwood Cemetery, Middlesex and is remembered on the Polish Air Force Memorial at Northolt. He was awarded the KW (gazetted 1st February 1941) and the VM (5th Class) (gazetted 31st October 1947).